hello it has been a minute. It was a busy two months, with things like weddings, get togethers with college friends, battling a bout of asthma, sickness, trying to move out of an apartment that lacks workable internet and is in…the not-so-nice part of town. Regardless, a little break from what has been a fairly consistent reviewing pace for almost two years couldn’t hurt. 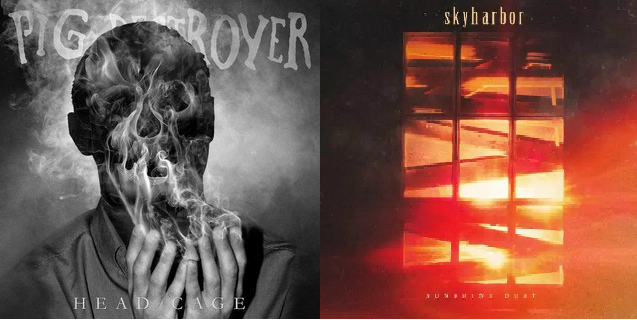 My reviews of the new Pig Destroyer and Skyharbor records are up at Metal Injection. I’ll also be reviewing an album that I’m particularly ecstatic about near the end of the month. So…I guess I should start writing it. Be back soon. p.s. Pig Destroyer was a particularly difficult one to write. Some of its songs “House of Snakes,” “Army of Cops” (surprisingly, it grew on me! ), and a few others are genuinely 10/10 instant classics in my book but a significant chunk of the album is pretty boring filler. Still, I can’t discount the resounding high quality of the record’s high points so…The score is what it is.